If possible, toss out your largest pieces of waste first because it will greatly improve the space available in your dumpster. Remember that you're trying to minimize open air and have as much contact as possible inside your dumpster. If you've got flat or shaped materials, try stacking them along the walls of the dumpster so that you can reduce the amount of unfilled volume inside the dumpster. If you're bagging everything, it's a good idea to pop a small hole in the top of the bags before you toss them into the dumpster. As the trash settles, the weight of the bags at the top will compress those on the bottom, and if the air can escape from the bags they're going to reduce that much further in size. This can really count if you're throwing hundreds of garbage bags full of waste into one of the bigger dumpster sizes we offer. 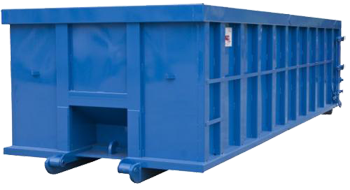 Tydell Disposal offers a range of sizes of roll off dumpsters and waste bins for whatever rubbish, soil or dirt and concrete you've got that needs to be removed. Choosing the correct size of dumpster is important, especially when space is tight or you're only allowed to have a dumpster of a certain size in front of your house. 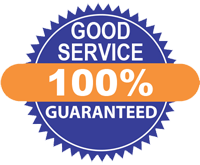 Tydell Disposalwill work with you to ensure that you've got the disposal bin that can handle your trash at a price that's right for you — call today and we'll have a dumpster bin delivered. Below is a sample of the dumpster sizes we can deliver to you anywhere in the Greater Toronto area. A 10 yard bin dumpster can hold 10 cubic yards of waste. Common dumpster dimensions for a 10 yard dumpster are: 12 ft. long by 8 ft. wide by 4 ft. high (dumpster sizes and dimensions may vary for your local dumpster service). There's no perfect way to choose dumpster sizes, but a 10 yard dumpster may be appropriate for a small basement or garage cleanout; removing a 250 sq. ft deck; removing 1500 sq. ft. of single layer roof shingles; yard debris cleanup, or a small kitchen & bath remodeling job. A 20 yard dumpster holds 20 cubic yards of waste. Common dumpster dimensions for a 20 yard dumpster are: 22 ft. long by 8 ft. wide by 4.5 ft. high. A 20 yard dumpster may be the right dumpster size for a large basement, attic, or garage cleanup; flooring and carpet removal for a large house; 300 to 400 square feet of deck removal; or 2500 to 3000 sq. ft. of single layer roof shingle removal. A 40 yard dumpster holds 40 cubic yards of waste. Again, dumpster sizes and dumpster dimensions are not standardized, but common dumpster dimensions for a 40 yard dumpster are: 22 ft. long by 8 ft. wide by 8 ft. high. A 40 yard dumpster may be appropriate for window or siding replacement for a large home; commercial roof tear off; commercial cleanout; new construction or major addition; large amount of trash, paper, or cardboard. Tydell Disposal bins can be delivered and picked up from anywhere in the Greater Toronto Area including: Toronto, Scarborough, Agincourt, Rexdale, Etobicoke, Vaughan, North York, Richmond Hill, Markham, East York and other surrounding cities.